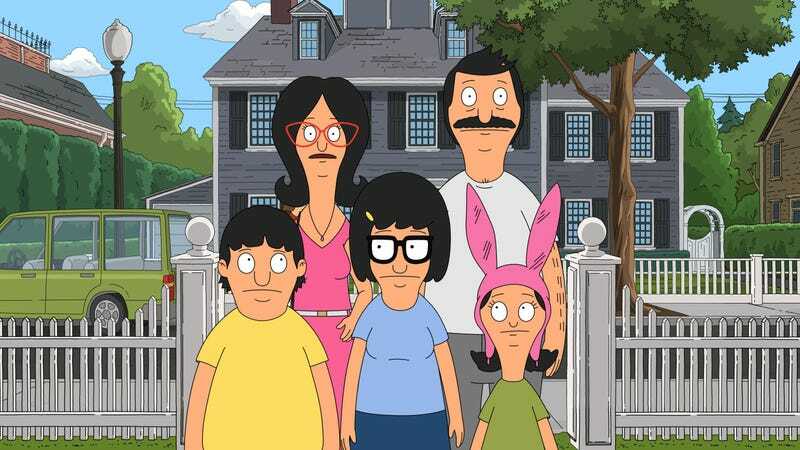 Despite some appearances, the Belcher family is a matriarchy. Yes, Bob runs the restaurant and is part of making the decisions, but at the end of the day, what Linda says usually goes. So when she decides in “Mo Mommy Mo Problems” that her Mother’s Day gift will be a day of everyone saying “yes” to what she wants to do, it’s really not too far off from every day life. And like so many Linda-centric episodes before it, an innocent enough plan spirals out of control with Linda at the helm. This ends up being a tale of three mothers: the new mom trying to make ends meet with a real estate job, the elderly mom pushing back against her son’s plan to get her to move, and, of course, Linda who is just trying to get her hands on some free shrimp on her special day. After deciding to take the entire family to a fancy island to go open-house hopping for the decadent spreads, Linda ends up turning a harmless lie (who among us hasn’t pretended to buy a house just to see how the other half lives?) into an elaborate scheme potentially ruining a few people’s lives in the process. Throughout the entire series Linda has moments of selfishness that are made murky because she believes they are rooted in her desire to help others. When Linda tells the realtor her family is interested in a private showing only to see the realtor is struggling financially the same way the Belchers are, there’s a twinge of regret for getting into the situation in the first place. But as things move along Linda twists the perspective of the situation to make her lie useful to others, and her family follows. Seeing all the stories seamlessly tie together in this episode was welcome after a few B-plots not given the time they deserve. 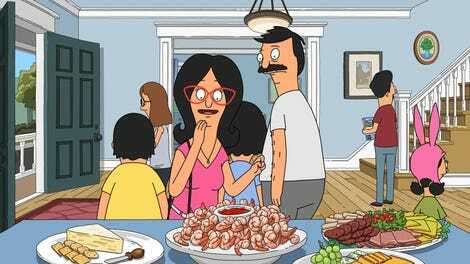 Maybe one of the most perfect Bob’s Burgers side bits is Tina’s guttural reactions to different details of Ethel’s taxidermy squirrel collection (peeling them like fruit roll-ups, so much blood, donating them to the children’s hospital). When all three mothers are together at the end, crying and bloody and emotional, it’s a portrayal of the different ways moms show love and support to their families and how those families show the same things in return. No burgers of the day! This episode takes place entirely outside of the restaurant. Next week is the two-part season finale! Emotionally prepare. Contributor, The A.V. Club. Loves David Bowie and flamingos more than everything else.